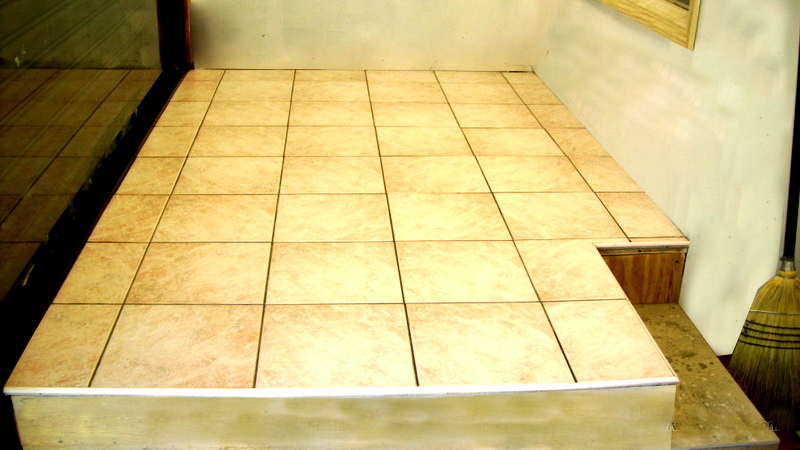 This is a photo of a finished tile job in Tampa. This was a basic five foot tub surround tile installation. 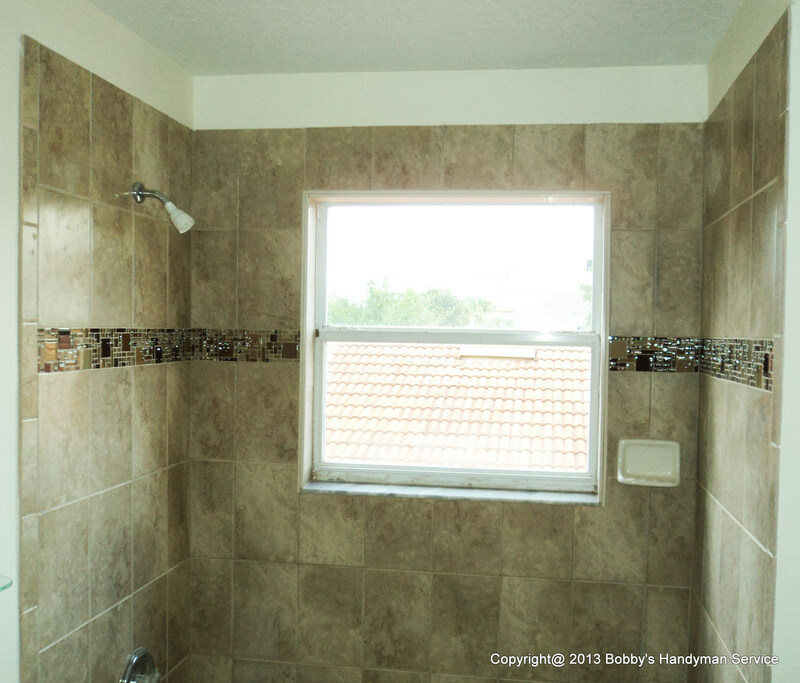 Bobby’s Handyman Service installs all kinds of tile on walls or floors indoors or outdoors . In this case the walls had to be removed due to water damage and mold. Originally when this house was built the builder used regular drywall under the tile and over a period of time the water began to penetrate the grout near the window sill which was also pitched incorrectly as the water from the shower would accumulate and actually sit on the window sill causing major water damage.The drywall was so wet that you could literally poke your finger through the drywall and the original tile was just barely sticking to the wall. 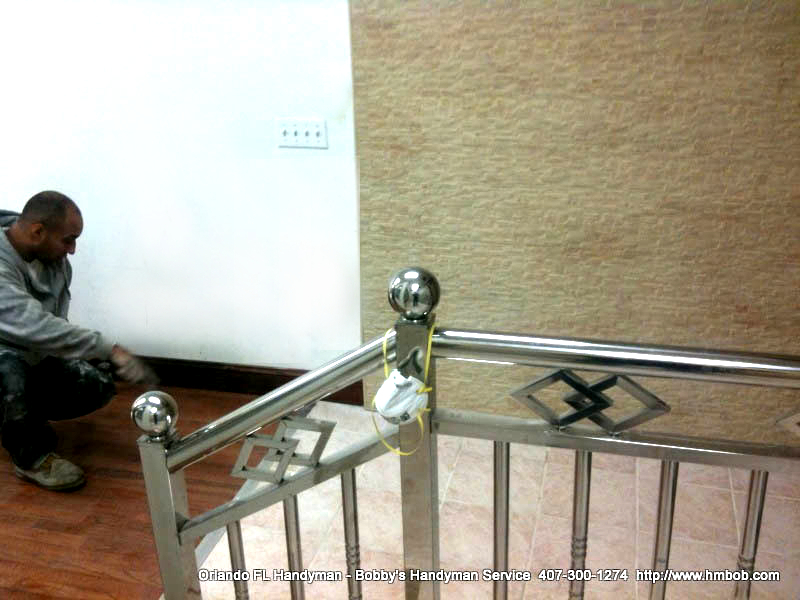 To see how we fixed these problems and all the step by step details please refer to our post titled how to install tile. The best place to buy tile is from large reputable tile warehouses such as the Tile Outlets Of America located in Tampa. This was a simple ceramic tile installation for a commercial window display at the mall in Tampa. This was a mosaic Travertine tile installed on the walls with a basic 12×12 ceramic floor tile installation with a metal transition into a rich wood laminate floor. For you next project be sure to call Bobby ! I guarantee you wont regret it.